As one part of the world is rushing to buy those holiday gifts, and prepare for their big Thanksgiving feasts, we Muslims are ensconced in our own preparations…to take advantage of those hot Black Friday, and seasonal deals! However, in today’s rapidly-growing commercial world, it’s hard to tell what businesses are Halal, and where their money is going. Never fear, because Muslim Girl has got your back. We compiled a shortlist of Muslim-approved businesses YOU can support this Black Friday, and Cyber Monday, so you know your money is going towards prospering our community, and Muslim entrepreneurs. After all, if we don’t support our own community, who will? This retail giant is known for its classic, modest clothing, and fair prices. Lisa Vogl, the woman behind one of the fastest growing Muslim-owned businesses in the U.S. and U.K. started her business after working as a fashion photographer for a number of leading magazines. This halal-friendly clothing line, also available at Macy’s, is attracting women of all backgrounds, and has now branched out by launching hair spray, and halal vitamins. They’re having a series of promotions right now so be sure to check them out! This nail polish brand caught many eyes, and made waves in the beauty industry. Launched with the modern Muslim women in mind, 786 offers over 20 nail polish shades, and is wudu-friendly, vegan, and entirely cruelty free. They also have an active blog that highlights many other Muslim entrepreneurs, and covers relevant topics within our community. Shop their gift sets, nail care products, and newly launched colors for this season. Zubaidah Abdul-Hakim began her journey selling jewelry, later expanding her empire to design clothing for plus-sized Muslim women, after she noticed a shortage in sizes available in other modest clothing lines. “We’re often overlooked by other modest clothing companies because very few of them carry sizes over an XL – and those that do, don’t design these pieces to be proportionate for a curvy woman’s body., Zubaidah summarizes. Styled by Zubaidah ships internationally, and is having an “End of Season” sale. That makes this a great time to stock up on those cute hijabs, and cardigans! Basbaas, which translates to chili in Somali, is an all-natural, privately-owned and operated sauce and chutney company. The founder, Hawa Hussain, comes from humble beginnings, surviving the Somali Civil War. Even as her family shuffled from one refugee camp to the next, Hawa was inspired by her family’s love of cooking and heritage. The sauces manufactured from Somalia are flavorful, and hand-crafted, ensuring they are filled with traditional, tangy, Somali flavors with a touch of American influence, making it a perfect fusion addition to any dish. Shop the Basbaas collection, and support this incredible woman on her delectable journey. Once an Etsy shop, and now a full-blown e-commerce business, A Little Muslim Shoppe was started by Marian Mohammad, a nurse, wife, and mother. 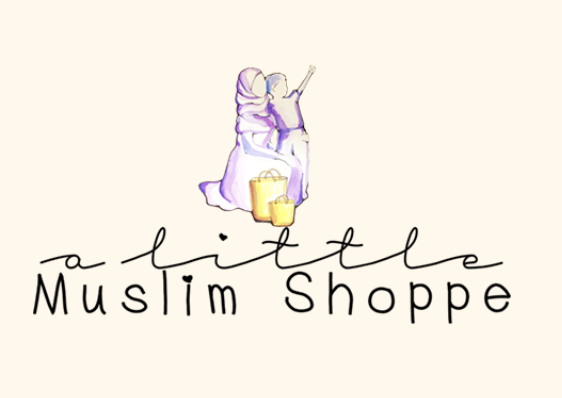 Marian’s sole mission was to prove to Muslims, “you shouldn’t have to sacrifice your deen to learn and teach in fun ways, do fun things, and have a beautiful home.” A Little Muslim Shoppe is your one-stop shop for all things Muslim-friendly, from home décor, educational tools, clothing, games, jewelry, etc. Shopping with this little outfit, you know that not only are you shopping halal, you are also supporting a Muslim entrepreneur and her family.